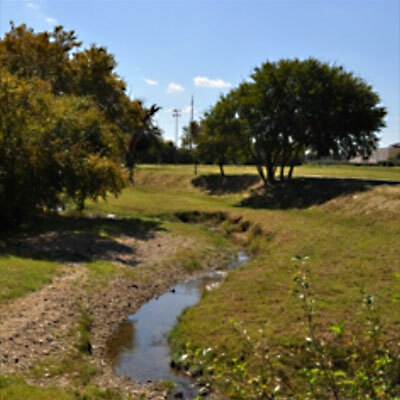 This project consisted of an open channel study (SWS-005) of an unnamed tributary to Marine Creek Lake, and also a neighborhood drainage study at the most upstream end of the open channel. The complete drainage basin consists of approximately 609 acres of developed land west and north of Marine Creek Lake. Several alternatives are in the final stages of review to solve both the flooding problems in the neighborhood and the open channel system downstream. 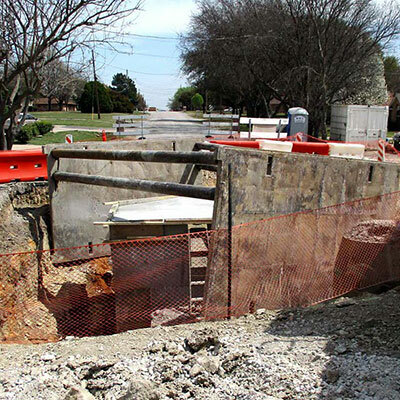 This project consisted of a drainage area that is 100% Residential and approximately 36.59 acres in size located in west Fort Worth approximately 1 mile northeast of the Loop 820 and Hulen Street intersection. Significant flooding issues were reported in the study area as the existing underground system appeared to be designed to convey no greater than a 25 year event with the remaining storm water ponding and ultimately overflowing between houses. The limits of the scope, for this project, extend from an earthen channel located 400 feet north of Bellaire Circle Drive to the south for 1,320 feet. The alignment crosses 3 streets, at their low points, and navigates between platted residential lots in dedicated easements 8 feet in width. 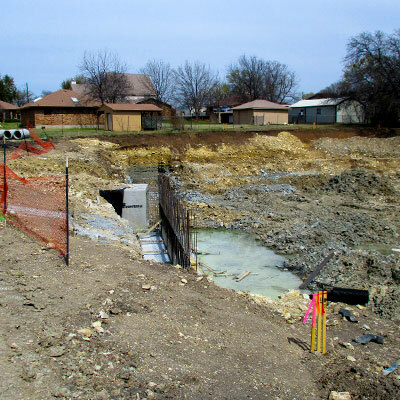 This project consisted of a 124 acre drainage study for a flood prone neighborhood. Alternatives were evaluated based on alignment, homeowner impact, existing easements, and construction limitations and cost. 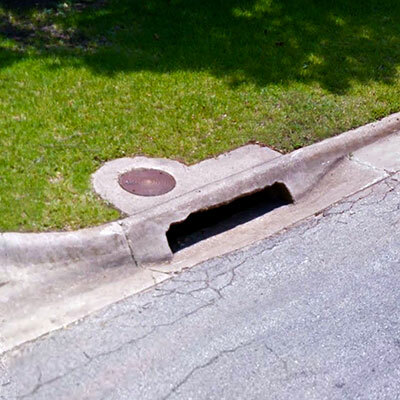 A combination of inlets, storm drain pipe, and street reconstruction was designed to mitigate future flooding problems.